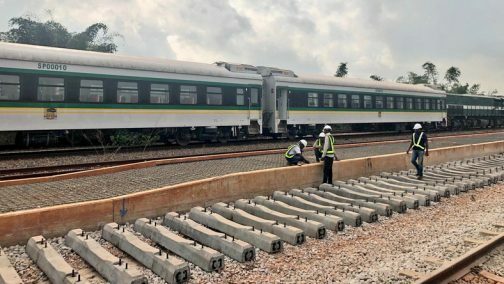 Passengers who would be boarding the newly completed rail line from Lagos to Abeokuta would be enjoying free rides for the next three months, the Federal Government has said. Mr Rotimi Amaechi, the Minister of Transportation, said this during the official test running of the new standard gauge rail from Abeokuta to Lagos. Amaechi said that the free train ride would start on Saturday Feb. 9 to convey passengers from Lagos to Abeokuta. “The train will run free from Lagos to Abeokuta where people can join it from Iju station. This is the third standard gauge in the country, the first is in Warri-Itakpe, the Kaduna Abuja and the ongoing Lagos-Ibadan line. 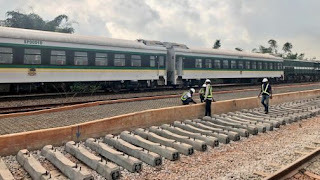 This is not an inauguration ceremony but we decided to put the train on the track to convey people from Lagos to Abeokuta freely from Kilometre 21 Iju Lagos to kilometre 82 Laderin, Abeokuta,” he said. Ogun State Governor, Ibikunle Amosun, said that the rail project would bring economic advantage to Abeokuta residents. According to Amosun, said the project is not a window dressing but a reality development. “We are not playing politics here and it is not a window dressing, we appreciate President Muhammadu Buhari, for fulfilling his promises. What we are doing today is what will make the country be among the comity of developed countries. When it start its operations the train will bring economic growth to the residents in the various communities. The standard gauge line will remove lots of vehicles on the road thereby reduce pressure and accident on the road. Honestly, very soon all these places will become mega city as more people will run to Ogun to work and reside,” he said. Sen. Gbenga Ashafa, the Chairman, Senate Committee on Land Transport, commended President Buhari for fulfilling his promise made in 2015. Ashafa said that the president specifically mentioned rail project and fulfilled his promises.